See scan - perfect condition. This is a nice and rare Romanian / Rumanian Royal King Carol I bronze medal presented as a decoration for merit during the Army / military manouvers during 1893. Obverse shows the portrait bust of the King. 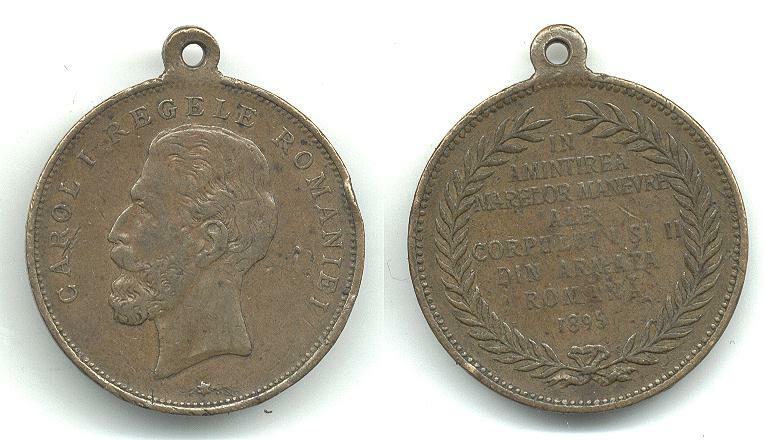 Nice and rare military / militaria collector piece and one of the nice Romanian medals.